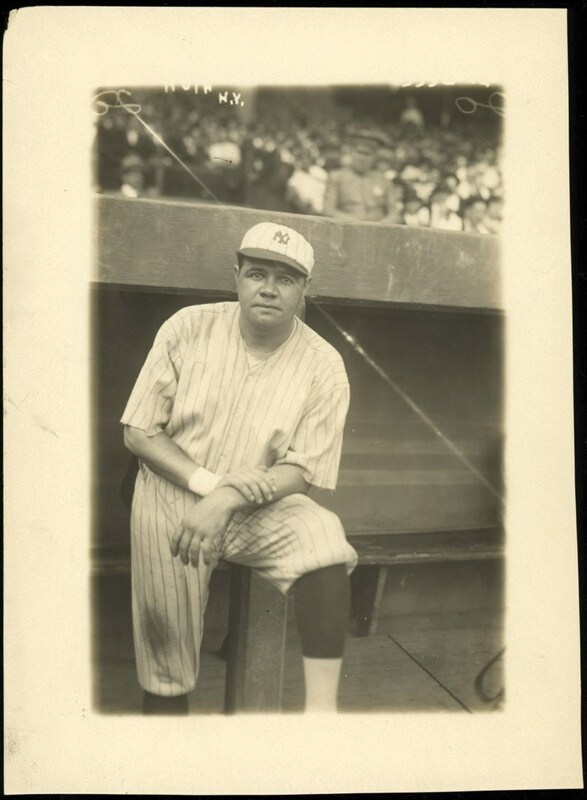 The year is 1921 and Babe Ruth never looked better as he dons his classic Yankee pinstripe uniform and seldom seen white pinstripe cap at the Polo Grounds, his temporary home, in this classic 5" x 6-3/4" George Grantham Bain News Service photo. 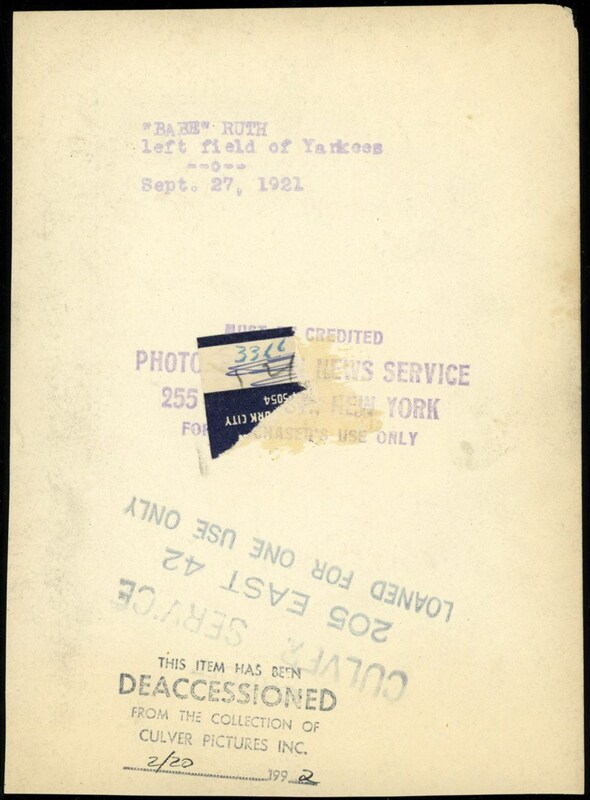 Indeed, Yankee Stadium (The house that Ruth built) was not yet constructed and the "Sultan of Swat" would share his home field with John McGraw's New York Giants. This image would be taken on September 27, 1921 with Ruth finishing up an incredible season that would see the "Sultan of Swat" smack 59 round-trippers, knock in 168 runs and post an amazing .378 batting average. Ironically, Ruth would lead the Yankees to the 1921 World Series against McGraw's Giants, eventually falling to their cross-town rivals in the fall classic. 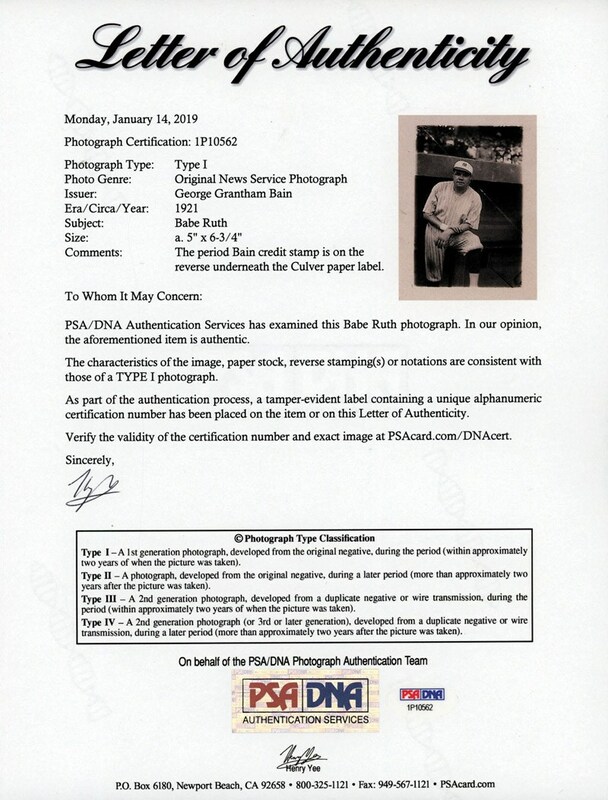 More significant, however, is this incredible heirloom that portrays the "Bambino" in his seldom seen early 1920's white capped Yankee pinstripe uniform.